Guest Post ~ Medieval Zombies? Zombies are a modern-day thing, right? A quirky invention of our contemporary imaginations? 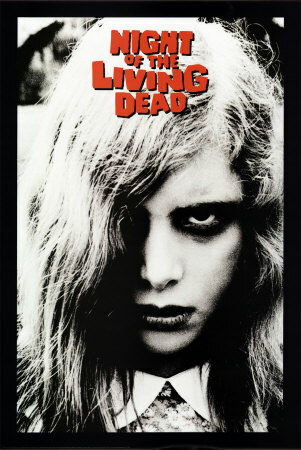 Everyone knows that George Romero gave them stardom in 1968 with “Night of the Living Dead,” and that they have been with us ever since. Except that’s not quite right. You have to go back a little farther than 1968. Some of you zombie aficionados may know about William Seabrook’s novel, “The Magic Island,” from 1929. Seabrook’s story was probably the first to mention zombies. But the idea of zombies goes back even farther. Farther than colonial Haiti. Farther than pre-colonial West Africa. I argue that zombies have been around for much, much longer than that. Like, Medieval longer. And I’m not just saying that because I wrote a novel about zombies in the Middle Ages. I’m saying it because it’s true. And I have proof. Let me start with a little background on medieval people: they were really religious. I’m not talking Tammy Faye Baker religious. Or even Reverend Al Sharpton religious. I’m talking, go-to-services-for-hours-a-day religious. Give-ten-percent-of-their-money-to-the-church-despite-barely-having-enough-to-eat religious. They went to confession whenever an impure thought crossed their minds. Christ, I’d have to rent space in a confessional if I did that. Sure, not all of them took it to that extreme, but a great many of them did. And so religion ruled their lives and thoughts. So when the church said that animals and flies could be possessed by demons, they believed. And when their priest told them that if they swallowed a possessed fly the demon would transfer to them, they kept their mouths shut. And when a person who everyone thought was dead woke up . . . There were many cases where a person in the Middle Ages was mistakenly pronounced dead. They were anointed with oils and given the Last Rites by a priest and that was the end of it. Until it wasn’t. When people who weren’t *really* dead (but appeared to be) woke up, it became a crisis of faith. You see, their souls had already been commended to heaven, and they were absolved of all sins (remember that last one, I’ll get back to it). The Catholic Church was not known for its gracious acknowledgement of mistakes. When dead people woke up, it meant the priests were wrong. And priests were never wrong. So the explanation? The poor victim was an abomination, no longer human. One of the walking dead. A zombie. Panicked villagers often attacked these abominations, and the poor victims swiftly regained their *dead* status. 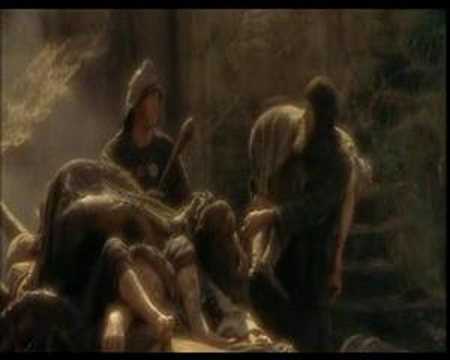 Those victims who lived usually fled their village and sometimes took jobs as “sin eaters.” The priests had already absolved them of all sins for eternity, remember? So they made their living in a sort of moral loophole, eating the sins of people who had died. Families would pay sin eaters to eat a meal for their departed loved ones. Sounds easy enough, no? Except the food was often placed on the cadaver of the deceased. Yes, sin-eaters were paid to eat food from a large, pink, rotting plate. By eating this food, the sins of the deceased were transferred to the sin-eater, who was already absolved of his or her sins forever. The sins, caught in a sort of infinite moral loop, apparently imploded or spent eternity in a quantum farm somewhere with herds of other sins. Remember that tank where the Ghostbusters kept their captured ghosts? Think of it like that. It helps. 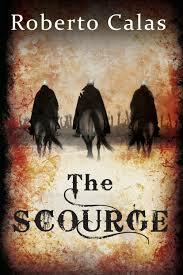 In book two of my Scourge trilogy – The Scourge: Nostrum – I introduce a man who was once a sin eater. His name is Praeteritus (Francis, really) and he couldn’t bear eating food off dead bodies anymore. So he became a killer. And I can’t say I blame him. While abominations like Praeteritus made people nervous, there were other “zombies” that were far worse. Zombies that terrified medieval peasants. Demons wearing corpses and roaming the land. Evil spirits that sought to drag you down to hell for an eternity of torment. They were called revenants and they could possess any dead body. So how did demons get into these corpses? Usually the same way the flies did. Through the mouth. This may explain the terrifying graves found in Ireland recently. 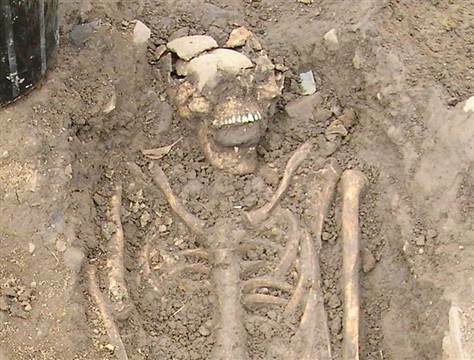 Two 8th century corpses were dug up in Loch Key with black stones shoved into their mouths. One stone was pounded so violently into the mouth of a man that it almost dislocated the jaw. Seems like there was a whole lot of fear behind the hand that jammed the stone in. It is one thing to believe that corpses could be possessed. It is quite another to jam rocks into the mouths of dead men. It makes you wonder what evidence these Irish peasants had to believe the two cadavers might return to life. Maybe these Irish peasants had evidence of revenants. Maybe there was a Romero-esque struggle in Loch Key. Probably not. Zombies are a modern day thing, after all. A quirky invention of our contemporary imaginations. 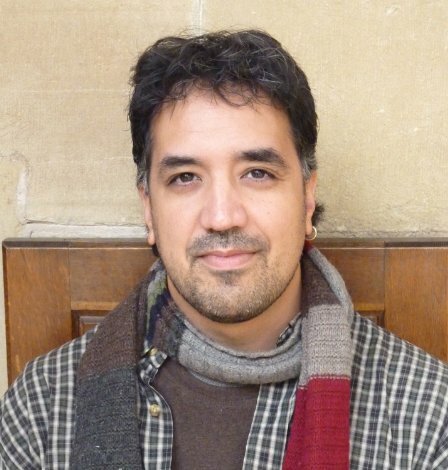 Roberto Calas is an author and lover of history. 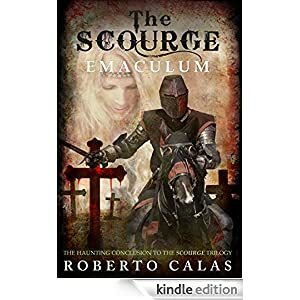 His serial trilogy (The Scourge) is about a 14th century knight fighting his way through a zombie-infested England to reunite with the woman he loves. And every bit of it is true except for the made up parts. 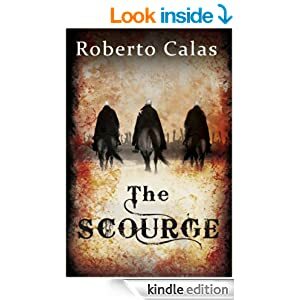 In addition to The Scourge series, Roberto has written The Beast of Maug Maurai (fantasy), and Kingdom of Glass (historical fiction in the Foreworld universe). He lives in Sandy Hook, Connecticut, with his two children, and visits the United Kingdom on a monthly basis to be with his fiancée, Annabelle. Sometimes he fights zombies to get to her. You can learn more about Roberto on his website: http://robertocalas.com. He’d be most appreciative if you liked his facebook page, too: https://www.facebook.com/RobertoCalasAuthor. And if you feel you can only take 140 characters worth of him at a time, his twitter handle is, @robertocalas.